Two Mid Sussex men have been charged in connection with an attempted robbery on a train in Hastings. David Connell, 26 and Christopher Docherty, 30, both of of Bentswood Close, Haywards Heath, have been charged with attempted robbery, common assault and posession of a bladed article, said a British Transport Police (BTP) spokesman. The incident happened at around midday on Monday (May 15) on a train to Ore, when a 26-year-old man was threatened by a man with a knife who demanded money from him, added the BTP spokesman. A second man then approached the victim and a struggle ensued. The victim was assaulted but did not sustain injuries. A member of the public intervened and the offenders left the train at St Leonards Warrior Square railway station. 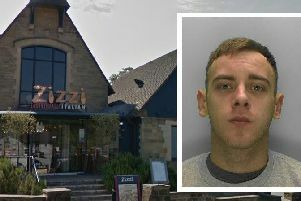 Connoll is due to appear before Brighton Magistrates’ Court today (May 18) and Docherty has been bailed to appear at Hastings Magistrates’ Court on June 14.